We are passionate about unity. We believe that the Church deserves the highest quality. We are for the Church, by the Church and through the Church. We believe in giving it all away. 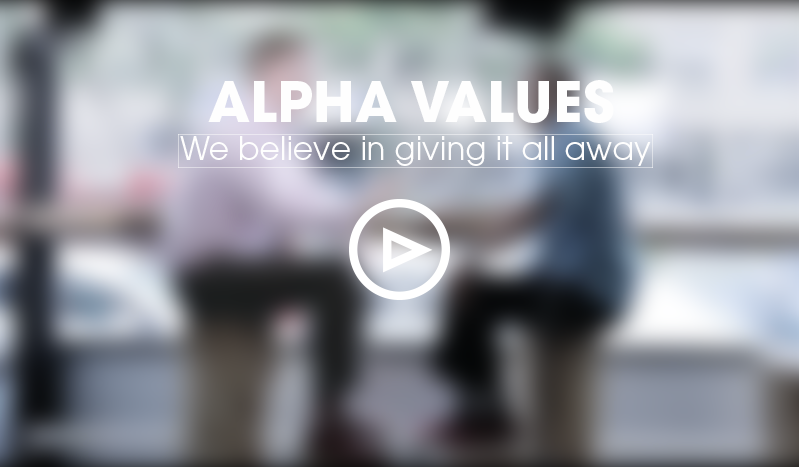 Over the next few months we will be uploading short videos on each of the 4 Alpha values for you to watch. Please watch and let your teams know! We believe the Church deserves the highest quality. We are for the Church, by the Church, through the Church.